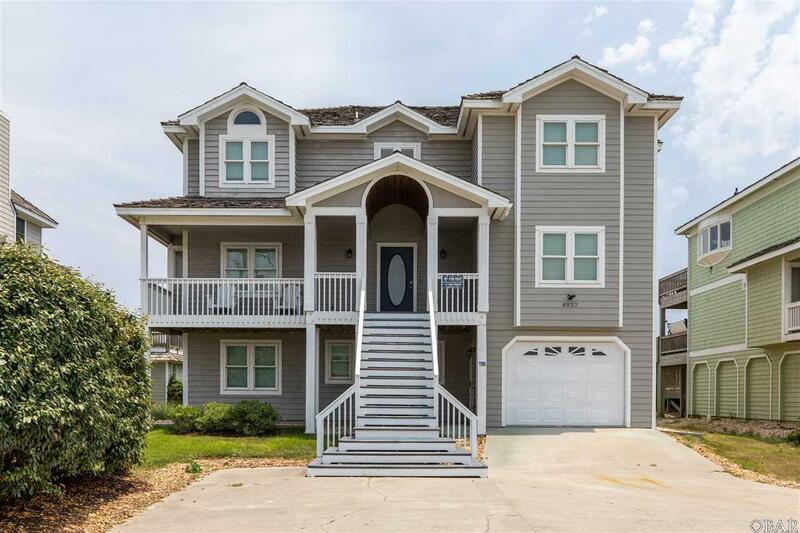 Beautiful Oceanfront Home in the heart of the Village of Nags Head! 7 bedrooms, 2 living areas, private pool and private walkway to the Atlantic Ocean. Huge Open great room to enjoy ocean views. Walk or bike to restaurants, shopping, groceries. Many upgrades in this home including new Andersen hurricane windows, new pool, deck and fencing; 2 HVAC units are less than 2 years old, and many more updates throughout the home. Freshly painted ceiling and interior in great room and mid level living. Excellent rental income! Picture yourself here in the majestic oceanfront home with the optional amenities of the Village of Nags Head!